“Laughter is the best medicine” – one of life’s essential mottos, and more true than you might realise. Laughter boosts your immune system, helps your mood, diminishes your perception of pain and, when shared, can strengthen and create bonds between us: and that’s just the tip of the iceberg…So here’s a piece explaining why we should value our ability to laugh, and why it’s one of life’s most vital (and healing) ‘basics’. When we laugh, we release ‘feel good’ endorphins, our ‘happy chemical’ serotonin and also increase the oxygen supply to our vital organs. This creates a general sense of wellbeing, not only in our brains, but throughout our body. Having a proper laugh can affect blood pressure, raise our heart-rate and generally ease tension and stress. Laughing also boosts our immune system – studies have shown that ‘happy thoughts’ can release neuropeptides which help fight stress and illness. I made a video (a long time ago) talking about some of the other health benefits of laughter, including helping combat pain and boosting your (and others’) mood. I also talk about how sharing humour and laughter creates a sense of community and strengthens relationships with others. 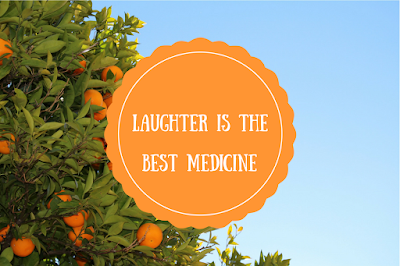 All in all, there are truly miraculous benefits to laughter. This is a hard one to crack. If you don’t feel happy or relaxed, then the chances are, you’re less likely to want to have a chuckle. However, I would make sure to have some tools on standby for when you need a good giggle, but aren’t in the mood. Does a particular film get you laughing? Do you have a friend who can always, always, always make you roar? Now’s the time to put that DVD in, or call up that friend. You’ll find that once you start laughing, it’s very hard to stop! Okay, okay – I get it…I should laugh more. But how do I add more laughter to my day-to-day? Do you think a particular comedian or actor is comedy gold? Does one particular TV show tickle your funny bone? Keep a stack of DVDs nearby or record them on TV, so that you can guarantee you’re laughing within minutes. Finding someone who shares your sense of humour, who you can be silly with and share a laugh is so important. Spend time with your favourite people and you’ll find that you all benefit from shared humour. 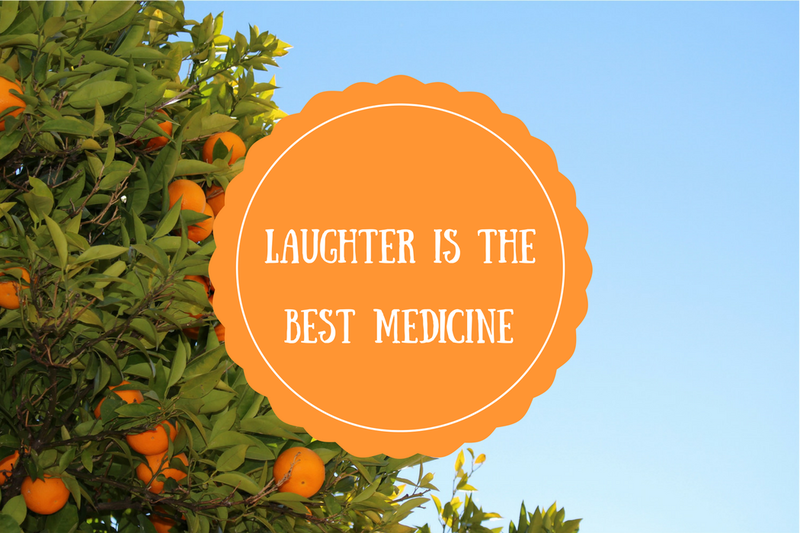 Laughter is infectious – use that fact to your advantage! There are millions and millions of funny YouTube videos, perfectly designed to make you laugh. Does slapstick humour get you going? Does a cat ‘talking’ make you giggle? Do you find video ‘pranks’ that go wrong make you laugh? A fan of innuendo bingo..? The world is your oyster online, so get googling and you’ll be sure to find a video that you can watch during your lunch-break that makes you laugh. One of the times I’ve laughed the most (that “I-can’t-breathe-my-face-is-going-to-crack-my-stomach hurts-I-think-I-broke-a-rib” feeling) is when I went to the Comedy Store in London. I highly, highly recommend a night of stand-up or improv to inject some laughter into your life. I find I’m always laughing or smiling when I’m around little ones and furry things. The cute and adorable things they do never fail to amuse me. If you don’t have a pet or a child to hand – borrow one! You’ll do your friends a massive favour by offering to walk their dogs or babysit their children, and you gain a lot too! Word/quote of the month: "Work hard, play hard"
This has been the month that was. That was full of work, full of fun, full of friends and just plain full-on. The last three March-es have been similar in that they have had potentially a little bit too much going on in them. Last year I spoke about burning the candle at both ends - which you can watch here, and the year before that I spoke about balance which can be found here. Leaving aside the fact that I don't seem to learn lessons very quickly (!) I think this is a problem with the modern world where we try and cram too much into our days and nights. We can often feel guilty for not constantly working or moving forward, we can often feel that we need to stay busy to cover up insecurities, we can often feel like we 'need' to be doing 'stuff' so that we aren't left with our own company and we can often feel like we just can't say no, or are too tempted so we say yes. Whatever the reason, I think it's worth remembering that it's just as important to take some time out as to be busy. It's important to be able to switch off and just be. If we are relentlessly pursuing something, always reaching, always planning the next five activities, then we can forget to enjoy the now. Plus, it is very easy to burn out. I decided to take a couple of evenings off this week, and feel so much the better for it. Having had something on every night for weeks and weeks, and my days filled with studying and work, something had to give. And I didn't want it to be my health or my sanity. So kids, the phrase of the month may be: work hard, play hard - and boy is it fun to live by that...but maybe we should also add rest and relax to that, so that we can enjoy the work and the play for longer. It's been cold - bitterly so. We have had blizzards in London and the weather has made us all want to hibernate. That means one thing, and one thing only, is the perfect lunch: soup. Nothing beats a bowl or mug full of hot soup with a hunk of bread to dip in. I always like to have a home-made and good quality veg or chicken stock on hand to make my own soup; but shop-bought is equally pleasing and comforting (and more convenient at times). Not a new lesson, but one that keeps cropping up lately, so I think it is worth noting down. 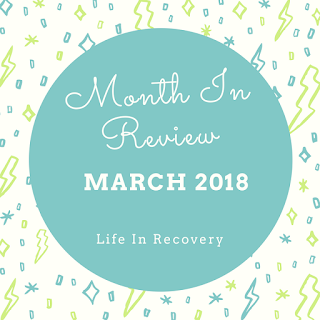 This month (and the last couple) have continued to test my communication skills, and show the importance of them. Whether you are struggling with family issues, arguing with a friend, trying to keep in touch long-distance, giving a speech at work, doing an interview or trying to get to know someone or something...communication is key. Obviously communication goes both ways - it's awful when just one party is making all the effort or you're banging your head against a brick wall, but I think it is so important to be able to say what you feel and think and tackle issues head on. Bite the bullet and say you don't agree with someone. Swallow your pride and admit you don't know what is going on. Tamp down your fear and ask that burning question. See something silly that reminds you of a friend? Send them a voice note or a picture. Miss someone? Tell them! Want to see someone more? Ask them to hang out! Intrigued about an opportunity? Ask someone who knows! Worried about something? Try and get to the bottom of it! Avoiding an issue? Think about how to solve it! They say your vibe attracts your tribe, and this month I have been reminded again just how awesome my tribe is - and I've been spending a lot of time with my friends. I want to keep them in my life. And to do that you have to put in effort, even when things are a bit tough, or when you're busy, or stressed. As I said earlier, communication needs to be mutual - so, having said all of that, sometimes it is important to know when you're flogging a dead horse - sometimes it is the wiser, healthier and better choice to let things lie. Reserve your energy for the people who, and the things that, reflect your energy back; and are positive influences in your life that make you feel good. Don't pour your energy and time into something or someone that won't do the same for you. It's a hard lesson, but an important one to learn, and something I've spoken about a lot - here in May 2017 and here in October 2017. I think the ultimate lesson is: however scared or worried or bored or complacent or angry you are - making yourself communicate and connect with those around you is really important. It can be healing and enlivening, it can shift and change your world for the better. You are in charge; you pick who and what you want in your life; say what that is, and I think you'll be happily surprised by the result. And don't accept less than you deserve or less than you want from life. Communicate what that is - and the chances are, you will get it, or attract it, or make it happen. As I have intimated - it has been a whirlwind of a month, and I am in desperate need of some relaxation time - I think a lot of us are. I even wrote a blog post on it in March. So if you're interested in reading more about the art of relaxation and how important it is to have time out then read it here. 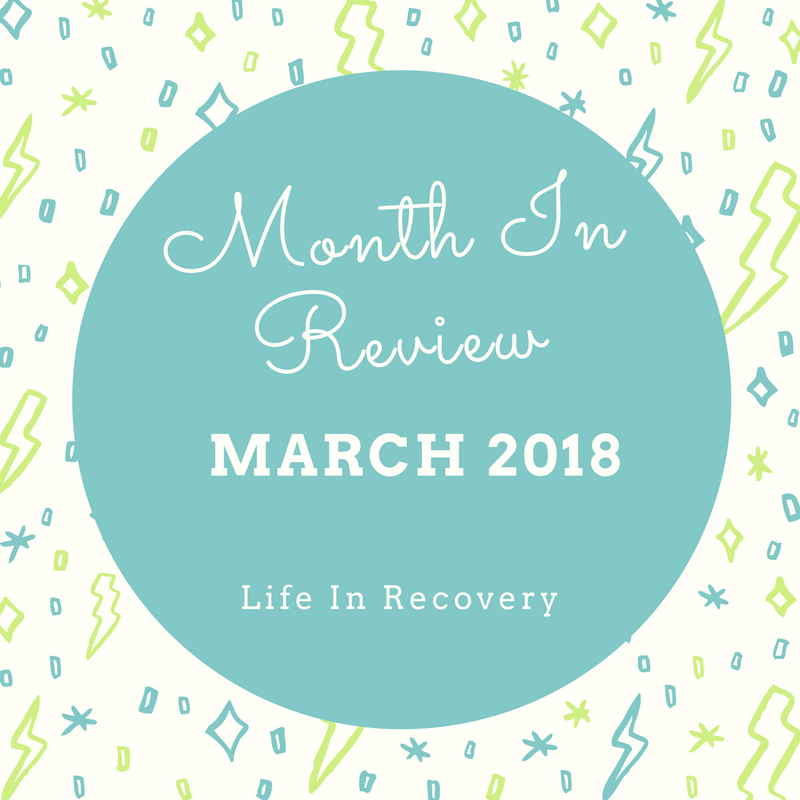 March can often be a month where people get run down, ill and depleted. Taking time to relax, and prioritising some 'down time' can help re-centre an re-balance you and send yourself the right messages. April is revision season, so I can't escape the fact that I'm going to be chained to my computer/desk/revision notes. However, I learned a lot last year about factoring in breaks and getting some exercise too, so that is the goal. What has March held for you? Any lessons learned?